ATEX intrinsically safe version of the standard FS-400(E) series flow switch. The FS-400 and FS-400-Adjustable ATEX flow switch provides 1% repeatability. 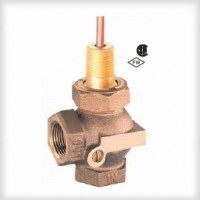 The unit may be fitted instead of a pipe elbow where space is at a premium.